Lots of activity has been occurring in and on the grounds of the Civic Organization’s property. 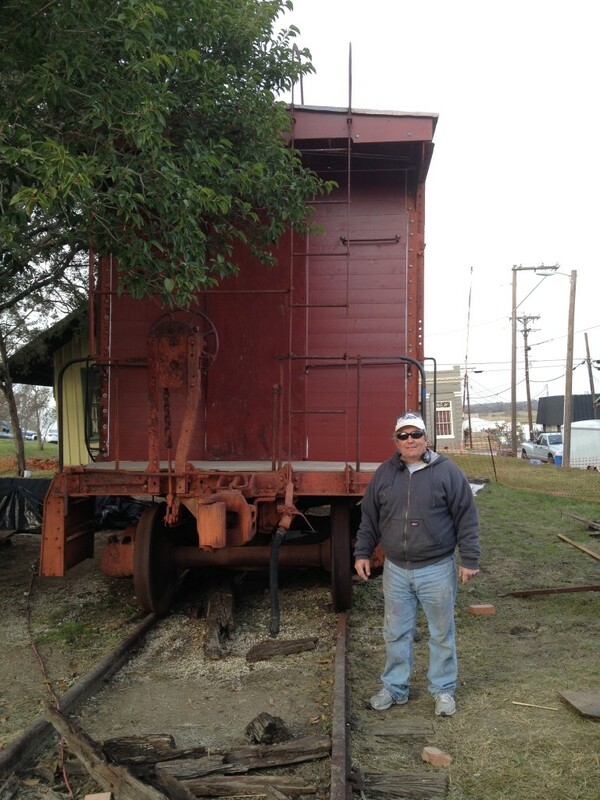 We awarded a contract to Robert Haines Construction for the first big phase of the caboose renovation. The cleanout work was done, and the construction work has been ongoing and is looking great! The weather has played a big part in getting this specific phase completed, first lots of (welcomed) rain and then lots of sub-freezing temperatures. 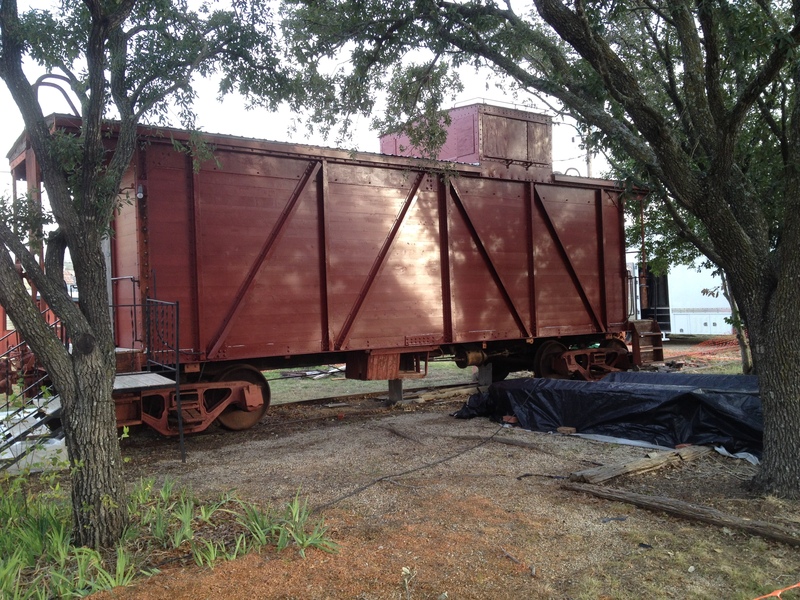 Another coat of paint is to be applied and new plywood doors will be done for the north and sound entrances of the caboose. 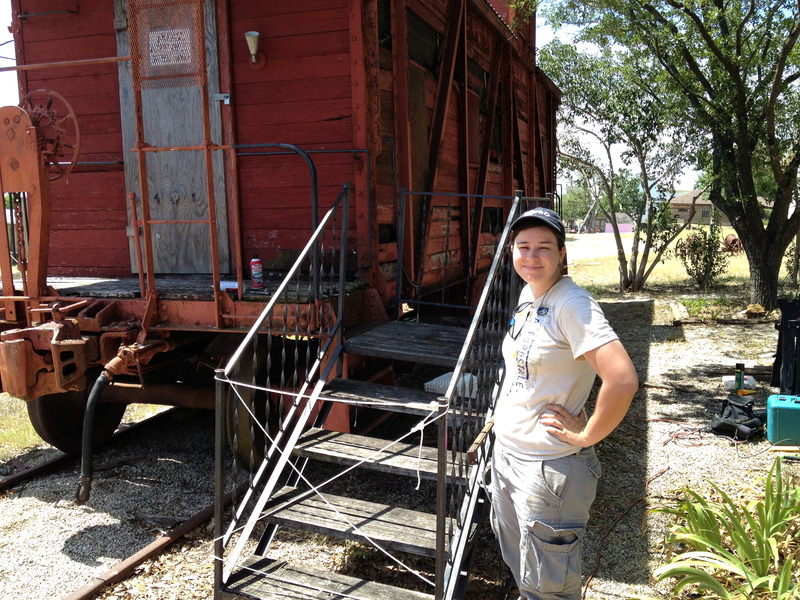 It was simply amazing to both Jack and me when we discovered that the frame of the original door on the south side was still intact. We discovered this when we were clearing and cleaning the interior before the demolition process. The door can be made sound and copied for the north end as well. The cedar sides (milled in Austin) fit very tight and should be sound for many, many years. We will retain a lot of the wood removed from the interior for later use. 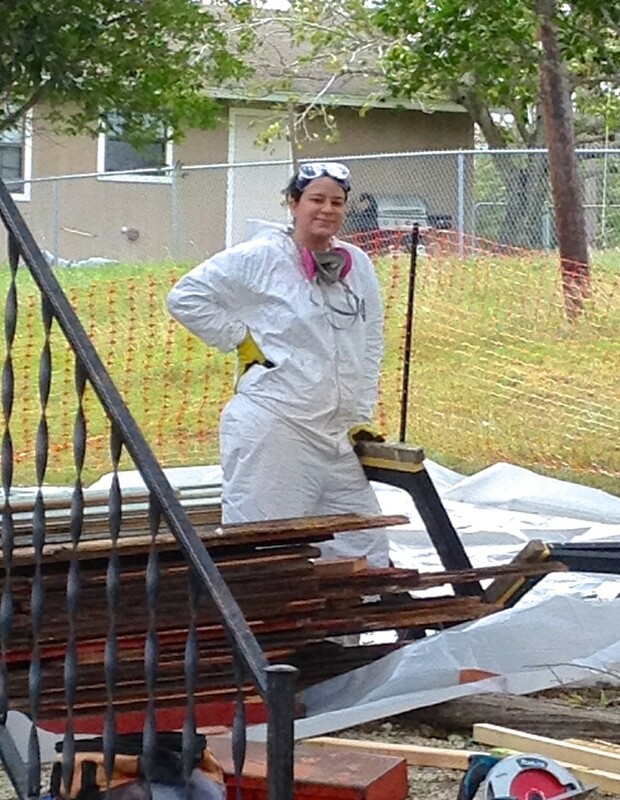 The crew worked really intensely to be sure we could preserve some of the good, old wood. Painter Bryan Sonnet stops for a picture on December 11. He said the first coat of paint was mostly finished. 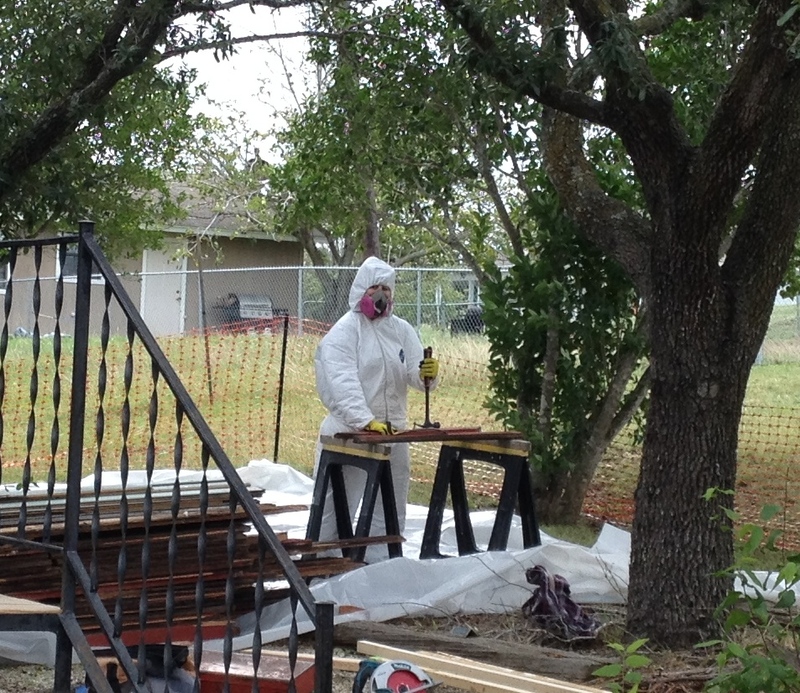 He noted that the prep work was the hardest part. He expects to complete work this week if the weather holds. The civic organization is looking forward to an exciting new year. We will elect two new members to our board in January. You, the public, elect board members, and we encourage any who might be interested in running for the board to contact any current board member, or simply respond to this posting on our website. Since Coupland has incorporated, the CCO really serves much like a chamber of commerce. We always look forward to promoting and sponsoring local events as well as participating in fund raising events that improve our grounds and facilities for the community. Last but not least, the Board would like to wish each and everyone a very Merry Christmas and a healthy and prosperous New Year. We appreciate your support and look forward to 2014! This entry was posted in What's New? 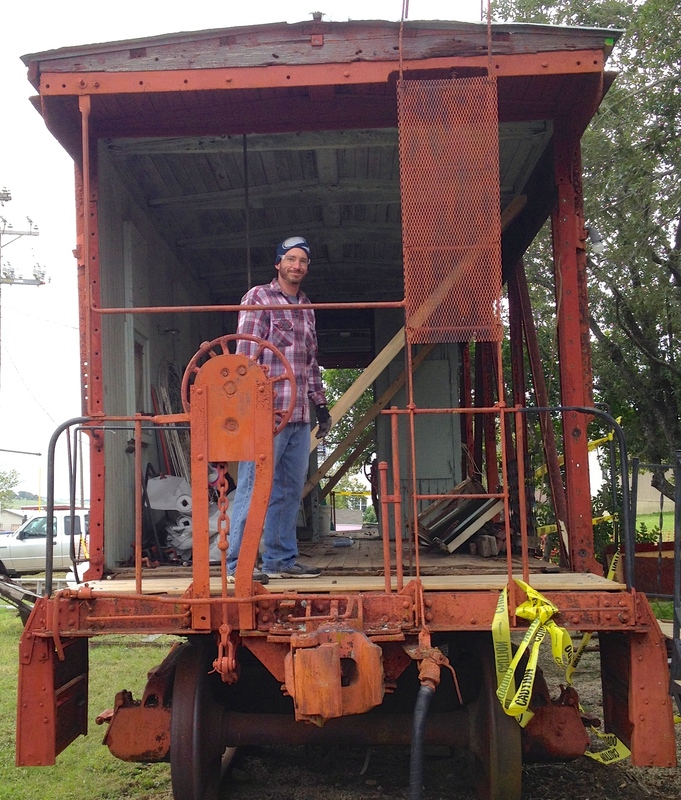 and tagged caboose restoration, Coupland Civic Organization on December 17, 2013 by Stewart Dale Spencer.